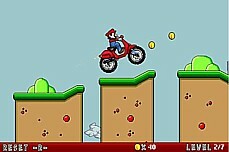 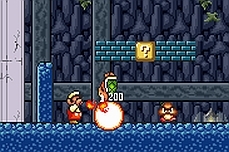 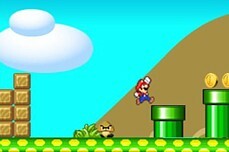 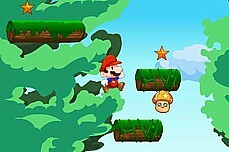 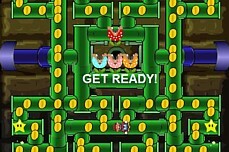 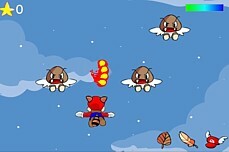 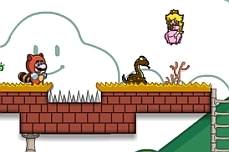 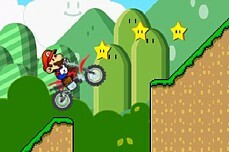 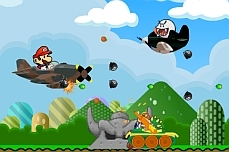 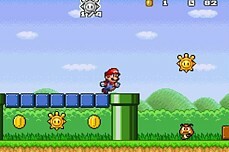 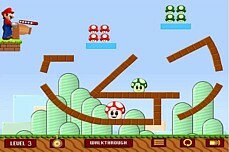 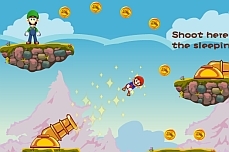 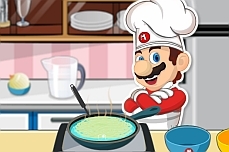 King Kong Mario is a teamwork flash game. 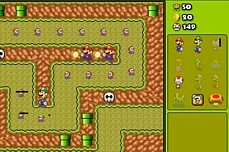 You can play by yourself or with a friend. 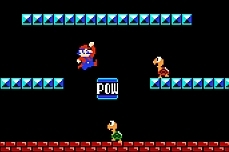 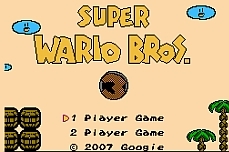 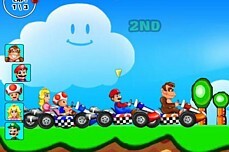 Player 1 is Mario while Player 2 is Turtle. 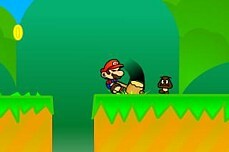 Turtle has the ability to roll and his small size means he can squish into places Mario could never go. 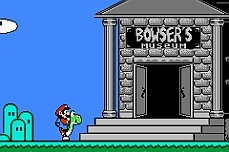 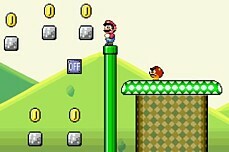 Mario can pick up objects and throw them around the screen while Turtle cannot because of the severe lack of actual fingers (no worries, he can still climb). 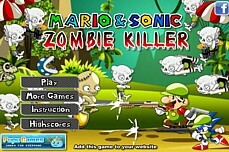 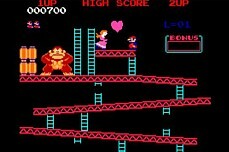 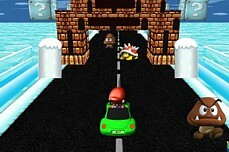 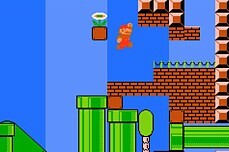 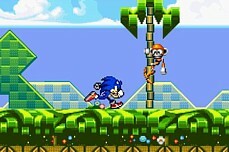 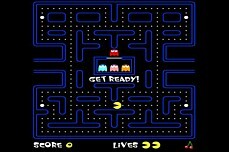 For reasons unknown, Mario wears a raccoon suit throughout the game while King Kong is nowhere to be found? 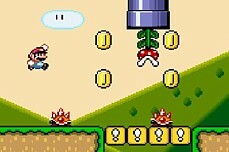 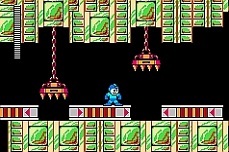 At any rate, the object of each level is to reach the door as a team and stand there.